While personal chef services have been around for over 30 years, our service concept is usually quite new for most people. Below are some of the questions I hear most frequently from clients and prospective clients. What is a "personal chef"? In my case, I am a classically trained and certified professional chef. I provide personalized culinary services delivered to your home, office, or event venue. As the word "personalized" implies, I can satisfy almost any request, whether specific menu items, cook dates and times, side or drink pairing, special diets... The sky's the limit! For more information about me, see my About Me page. Why not just eat out or cook dinner? This is a very personal question that only you can answer, but it gets at the heart of why personal chef services like mine are gaining in popularity across the country. The key benefit of my personal chef service is convenience. I can simplify your life by taking on all the stress and work of figuring out "what's for dinner"? I do the planning, the shopping, the cooking, and I deliver your meals directly to your home. I plan and prepare meals you will love, based on your preferences and the feedback you give me. All you have to do is pull the great entrees and sides you want out of your refrigerator, warm them up (I provide written warming instructions), and serve. Then spend the time you save on the things that really matter to you. Did I mention that my cuisine is fantastic? For the long version, see my Personal Chef Service page for details. The shortened version: we will meet first and discuss your likes, dislikes, needs, and constraints. Then, on the weekday we agree on, I will deliver your personalized meals to your home and store them in your refrigerator. My prices for standard personal chef service plans are listed on my Service Plans page. For party and special event catering, contact me to arrange for a quote. What is included in your service plan prices? The single, flat rate for each service plan includes everything: food costs, menu planning and cooking time, and delivery. My pricing structure is designed to be simple and convenient for my clients. My motto is "No surprises!" Why is your pricing different from other personal chef services? 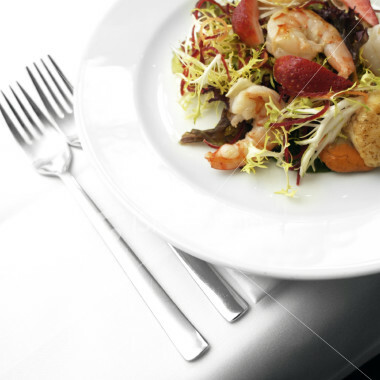 Many other personal chef services charge their clients by the hour for the chef's time and then add food costs. This means that each week's bill is different depending on the menu and the time required for preparation. My fee structure is simpler and more convenient for my clients. I charge a flat, all-inclusive rate for each service plan. Clients can depend on a predictable rate each week, and I manage my time and food costs. How is your service different from other personal chef services? My service is different from most other personal chef services in the area. First, I am a professionally trained chef, certified by the American Culinary Federation. My training and experience set me apart in terms of food preparation skill, range of cuisines, my ability to tailor your menus to your personal preferences, and perhaps most importantly, food safety. Many other local personal chefs lack this professional training and certification. Second, I am a registered nurse. My medical training, experience, and deep understanding of nutritional and dietary needs allow me to work closely with clients and even their physicians to design healthy cuisine. Third, all of my recipes are my own creation, based on my classical culinary training with my own spin added. This allows me to tailor your meals closely to your preferences. Many other personal chef services cook from standardized recipes provided for them by the national personal chef associations. My approach gives my clients ultimate flexibility and variety. Finally, I maintain a state-of-the-art commercial kitchen facility inspected by the ﻿﻿Lewisville Health Department﻿﻿. Most other personal chef services cook on-site in the client's home. My approach is safer and more convenient for my clients. I can also achieve better culinary results using my own equipment than most clients' home kitchens are equipped to provide. How is your service different from the new boxed ingredient delivery services? Boxed ingredient delivery services are becoming popular at the moment. These services deliver a box of pre-packaged ingredients and recipes to your home, and you prepare your own meals. If you have the time and inclination to cook your own meals, these services can be helpful, but you need to set aside time to order your delivery, prepare the meals, and clean up afterward. My service is very different from boxed ingredient services. I deliver fully-cooked meals tailored to your personal preferences, prepared by professional chefs in a commercial kitchen inspected by the health department. There is no logging in to a website or app to choose your meals or plan every week, no need to prepare the meals according to a recipe, no cleanup. It's easy. The time you save will change your life and put a smile on your face. And you'll love meals that are tailored directly to you and your family. No. My service plans are not contracts. You are never locked in. You pay per delivery date and that's it. You can decide to stop the service at any time. I prepare your meals in my state-of-the-art commercial kitchen located in Lewisville, Texas. My kitchen is inspected and certified by the Lewisville Health Department. Yes! I deliver all meals and services directly to your refigerator, doorstep, or venue from my commercial kitchen in Lewisville, Texas. I shop for ingredients for my clients every day. I like to frequent grocery stores specializing in natural or organic products. I also prefer locally grown or produced items. For more information about the suppliers I use, see my Where I Shop page. I use high-quality glass containers which hold between one and 4 servings each. These containers give you the widest range of warming options, and are NSF certified and BPA-free from your protection. For more information about storage containers see the container section on my Service Plans page. Can you help me with my special diet? Yes. One of the most satisfying things for me is combining my experience as a registered nurse with my work as a personal chef. I have helped numerous clients to create and maintain healthful diets. Contact me to discuss your needs. Yes. For more information about party catering see my Parties and Special Events page. What are your party catering rates? Since party arrangements are usually more customized than standard personal chef service plans, I don't list party catering rates on my website. Please contact me, so we can discuss your catering requirements and my rates. Yes. Contact me for references or see my client testimonials page for what my clients are saying about me. Yes. I maintain insurance for your protection. I am also fully certified in safe food-handling and sanitation practices (ServSafe). I take your safety and health VERY seriously. I have been blessed to serve my clients since 2007. Do you offer fresh roasted coffee? Yes! With my Fresh Roasted Coffee service you can get premium coffee beans roasted fresh locally, delivered to your door at the peak of their flavor and quality.